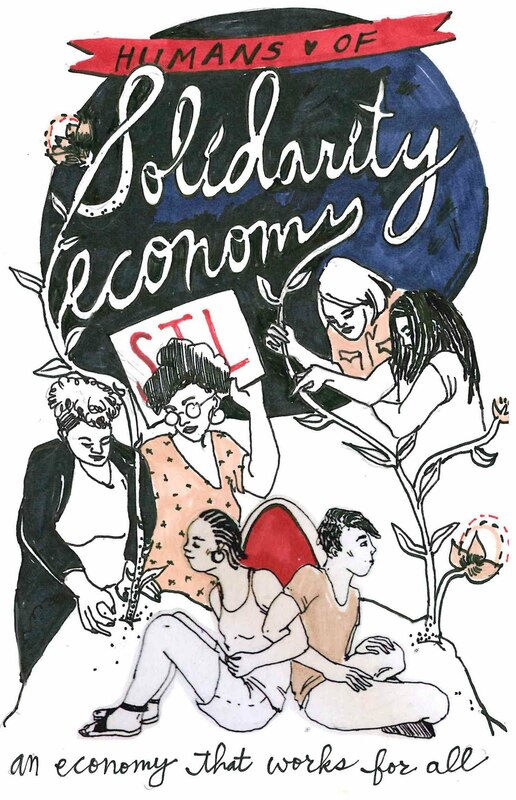 Humans of Solidarity Economy – Our First Zine! Humans of Solidarity Economy is a photographic and interview series of leaders and members of Solidarity Economy St. Louis that highlights the good work being done by individuals and organizations in the fields of alternative currency, food production and justice, gender equality, restorative justice, economic empowerment, creative land/housing use, and alternative health and wellness. Grab your copy at our upcoming events! By Cowry Collective|2016-02-11T12:05:00-05:00February 11th, 2016|Categories: Archives|Comments Off on Humans of Solidarity Economy – Our First Zine!